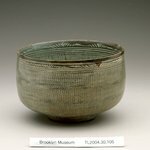 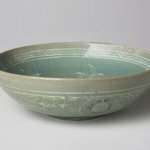 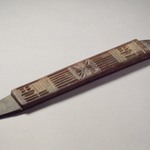 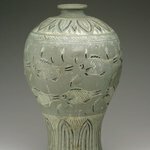 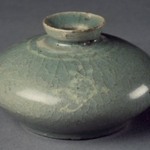 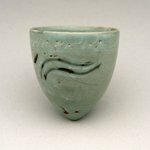 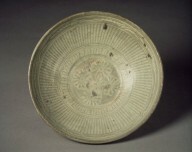 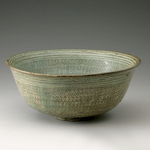 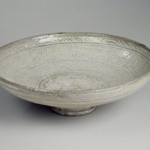 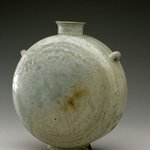 CATALOGUE DESCRIPTION The use of grass design bands is regarded as a clear indication that buncheong wares evolved from the inlaid celadons of the late Goryeo dynasty. 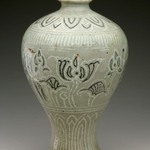 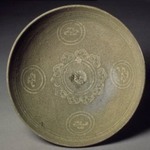 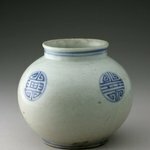 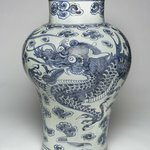 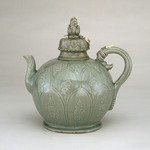 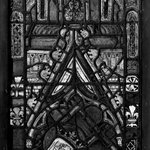 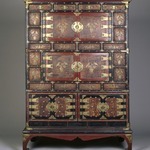 The finest buncheong works tend to have decorative designs stamped all over the surfaces, both inside and out. 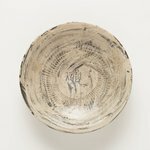 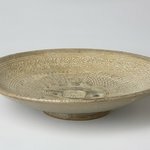 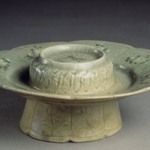 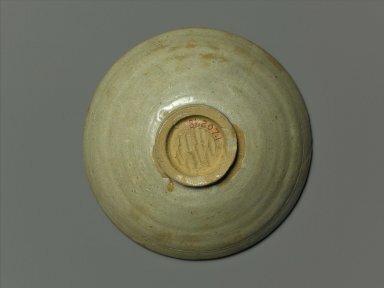 This buncheong bowl is decorated with stamped chrysanthemums and raindrop designs on the inner surface and a grass design along the inside of the lip. 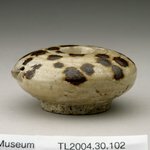 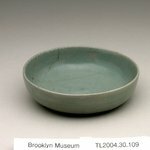 The scant decoration on the outer surface, the color of the glaze, and the unevenness of the glaze make this a mediocre product. 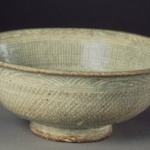 The foot is unglazed and has three marks of kiln grit at the base rim. 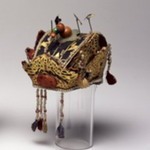 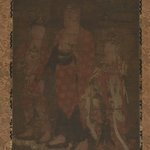 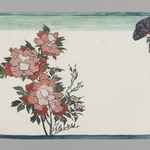 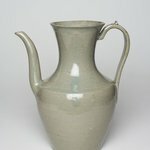 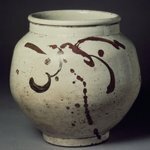 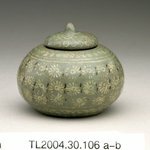 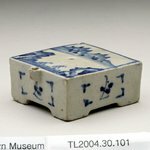 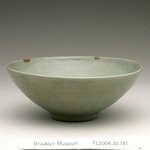 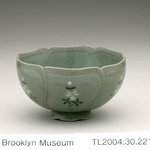 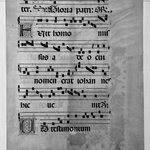 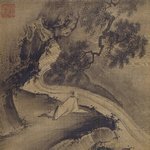 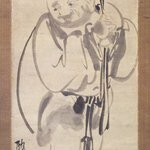 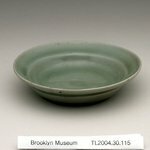 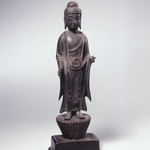 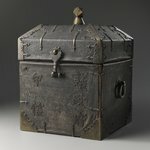 From "Korean Art Collection in the Brooklyn Museum" catalogue.